This label uses indentable aluminum so your writing stays even after the ink is gone! • Aluminum labels can be debossed with a pen or pencil. Your writing is indented into the dead soft aluminum. 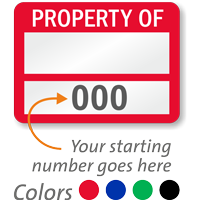 • These labels are prenumbered with black digits to help you create a system to track your assets. • Aluminum foil labels have a 2 mil embossable facestock with 1.7 mil 3M 320 acrylic adhesive. Labels adhere well to smooth and textured surfaces, as well as LSE materials. • Facestock has a vinyl topcoat which is very receptive to ink. Print is readable, even if the ink washes off, your message is permanently engraved. • Write on this label using a ball-point pen, pencil, or sharp object to permanently etch your message into the material. • Label can withstand harsh environments and is resistant to abrasion. Material is UL recognized and CSA accepted. 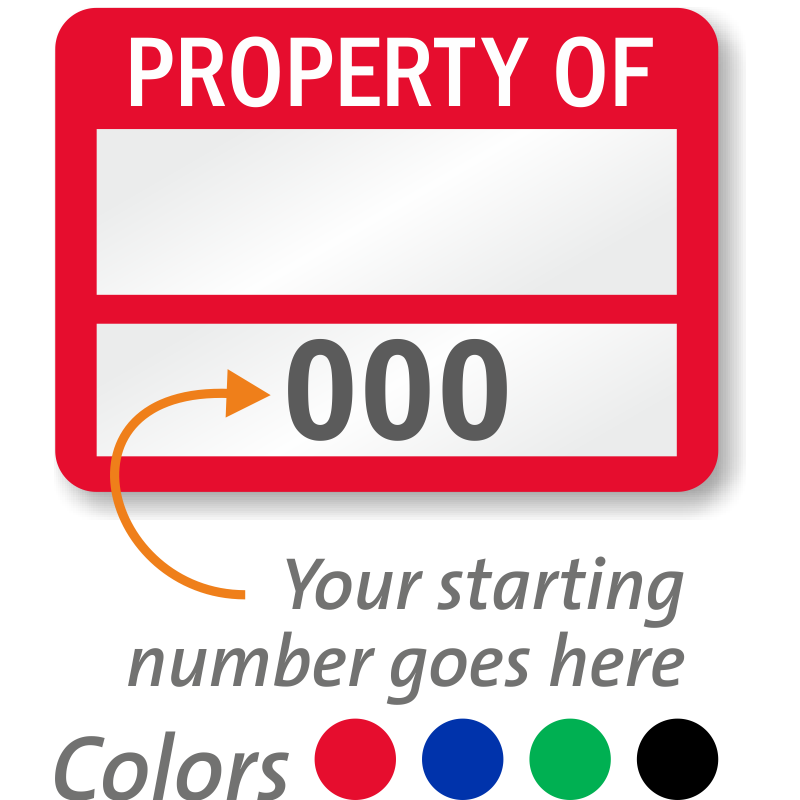 • Labels are digitally printed in high resolution using toner inks and are excellent for heavy-duty applications.